Detailed meal planning is important for weight loss. Your Atkins diet grocery list will need to reflect your goal to limit carbohydrates while eating well. Since the Diet takes out the guesswork, you will lose weight faster by following a plan that includes protein-rich foods such as meats, dairy, eggs, and cheese, as well as good vegetables such as salad greens, lettuce, Swiss chard, kale, broccoli, Brussels sprouts and peppers. 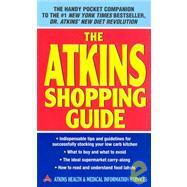 The great thing about the Atkins Diet Grocery List is that you can view and download lists, tips, recipes, and much more from the official website. They have done the work for you in detailing the grams of carbs, sugars, proteins, and fats within these foods. The advantage to having a list in hand will prevent you from reckless impulses to pick up groceries that have hidden sugars, which can be a problem with canned goods and even many dairy products. *Indicates foods that can be added after the Induction Diet. You can also consider adding Atkins Shakes and meal replacement bars to your Atkins diet grocery list. As you can see, there are varieties of nutritious foods you can load in your cart, and you will walk right past the forbidden white foods: sugar, flour, rice – as well as junk foods that have ingredients mostly comprised of those no-no white foods. You will also need to restrict items such as corn, beans, potatoes, and starchy vegetables. 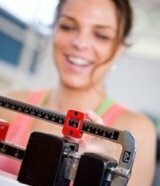 Once you move into the pre-maintenance phase, however, you’ll be enjoying a greater variety of carbs as well as take control of maintaining your new weight.